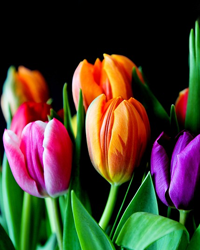 Florence Aichele Jessen of Summerville, SC, widow of Edward Marshall Jessen, entered into eternal peace on Thursday, April 1, 2019. She was born in Charleston, SC on March 23, 1922 to the late Frederick John and Emma Brandt Aichele. A celebration of her life will be held at 1:00 p.m. on Thursday, April 4 at St Luke's Lutheran Church, 206 Central Avenue, Summerville, SC. A reception for friends and family will be held following the service in the church fellowship hall. Florence graduated from North Charleston High School and received a Bachelor of Arts degree from the College of Charleston. She taught history to middle and high school students in Dorchester School District Two for over 25 years. She was a charter member of Upsilon Chapter of Alpha Delta Kappa, an international teacher's sorority. A love of beautiful flowers was a part of her heritage and a life-long passion. Aichele family members were well known as Lowcountry horticulturists, owning nurseries and florist shops over generations. Florence continued the tradition as evidenced by her service as the first President of the Summerville Flowertown Garden Club. Florence will be remembered with great love by her four children; Ed (Susan) Jessen of Mt. Pleasant, Beverly (Bali), (the late Tommy) Cuthbert of Summerville, Dottie (Louis) Connelly of Summerville, and Becky (Bob) Koch of Greenwood, SC. She was blessed by 11 grandchildren and 18 great grandchildren. Her joys in life were reading, gardening, traveling, and enjoying beautiful days at the beach. Faith was her guiding compass. She was a long time member of St. Luke's Lutheran Church. And most of all, she loved family and friends and especially her children, grandchildren and great grandchildren. The last 15 years of her life were spent at the Village of Summerville. The family wishes to thank everyone who helped care for their Mother; her sitters, the staff at the Village of Summerville, and Hospice of Charleston. Memorials may be made to the Wilmarth Scholarship at St. Luke's Lutheran Church, 206 Central Avenue, Summerville, SC 29483.